Nearly eight out of 10 people are in favour President Emmanuel Macron's plans to introduce laws to combat 'fake news' during election campaigns, a study has found. A total 79% said that they were in favour of the plans, and agreed that "there is a need to make information on social networks and internet platforms more accountable", according to the survey, published in Le Figaro. More than seven out of 10 respondents (71%) believed false information is a problem, and most considered a law to block it 'a good initiative'. That positive impression dropped among supporters of the Front National; a total 36% of the party's supporters said regarded it as a "bad initiative because it risks undermining freedom of expression". 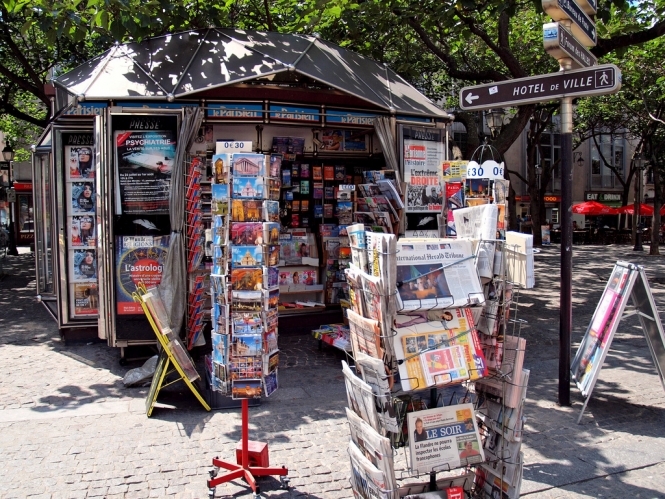 The main source of information in France remains mainstream media sources - 78% of French people turn to recognised news outlets for their news. But bearly three in 10, meanwhile, admitted inadvertently forwarding 'fake news' stories on social networks - a figure that jumped to 46% among those who mostly receive their news from outside mainstream media sources. More than half of 18-24-year-olds use social networks or blogs to receive their news. The online survey for Le Figaro questioned a representative sample of 1004 people, aged 18 or over.